New lunch spot serve humburger ! I found new hamburger shop is open near my office. Strictly speaking, they serve hamburger at lunchtime and serve American foods featuring Angus beef. Of course I went to there at lunchtime and all of hamburgers name have words of cities of America. 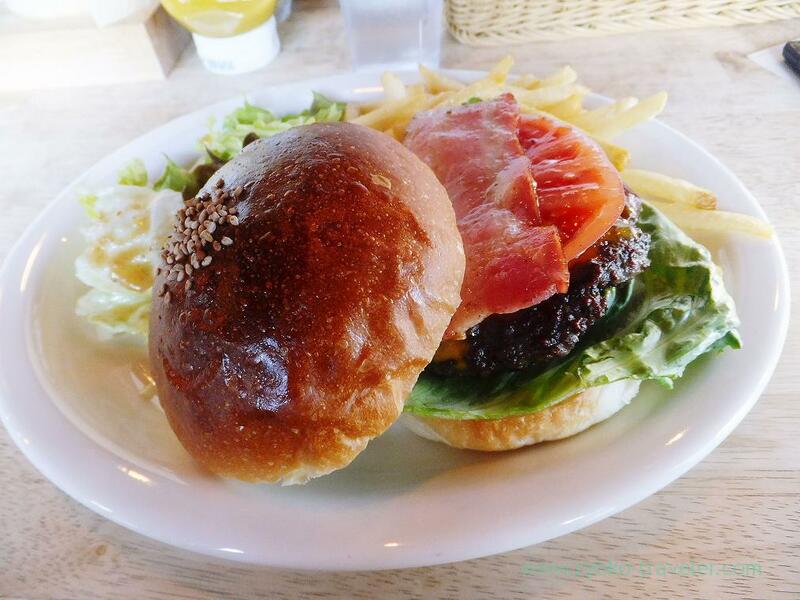 And I choose Boston hamburger (ボストンバーガー) ! I forgot its exact price, but it was near 1200 yen. I wrapped it in a paper, but the teriyaki sauce was loose and it was hard to eat it. I should have eaten it with knife and folk. 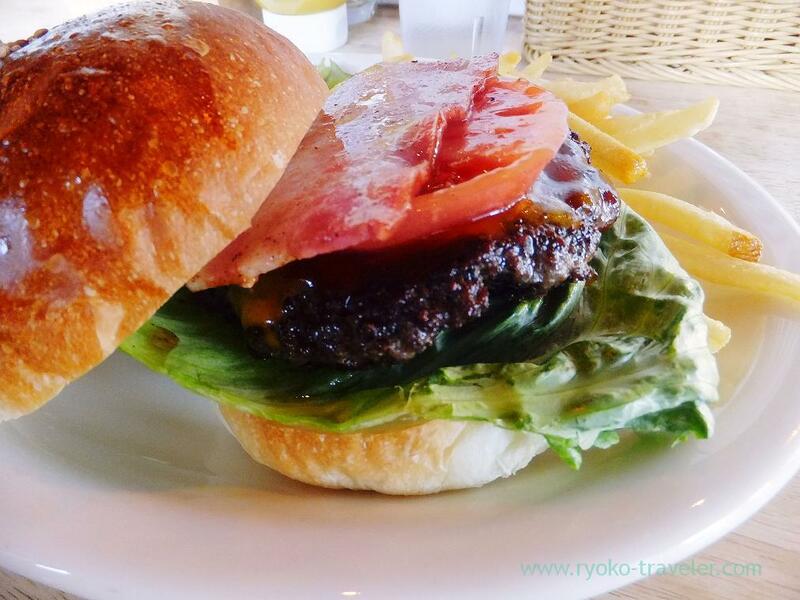 The ingredients were bacon, tomato, putty, lettuce and teriyaki sauce. As a whole, this hamburger was small. 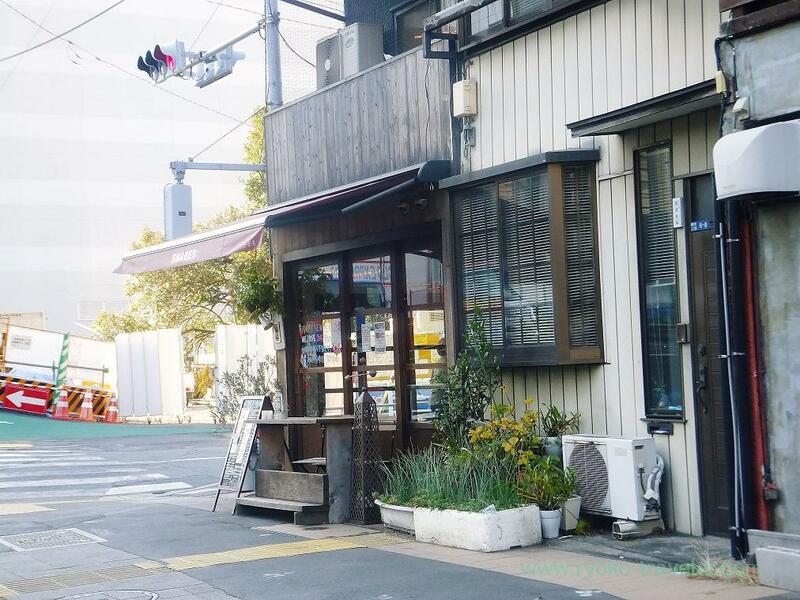 Though I have to take the place this shop stand (Kachidoki, now its land price is rising) into consideration, 1200 yen is not a reasonable price because the hamburger was small. Of course, it was tasty. The putty tasted good. This shop have wide window and natural light comes through the window. It have a good atmosphere.